‘Felicite’, a lovingly restored three bedroom cottage in the heart of ‘Sconset Village. ‘Felicite’ meaning blissful, fortunate and happy is rich in history while offering all modern amenities. The winterized home has a bright and spacious feeling with cathedral ceilings and offers a first floor master bedroom with private bath. A basement for storage is a unique offering in the Village. The house opens to a large private brick patio on Broadway and a landscaped brick entrance on Center St. 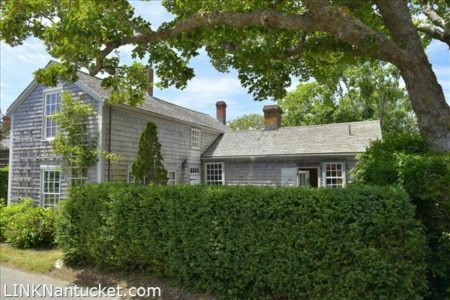 The true essence and history of Nantucket is captured in this heartwarming home! Lower Level Partial basement under the master bedroom.